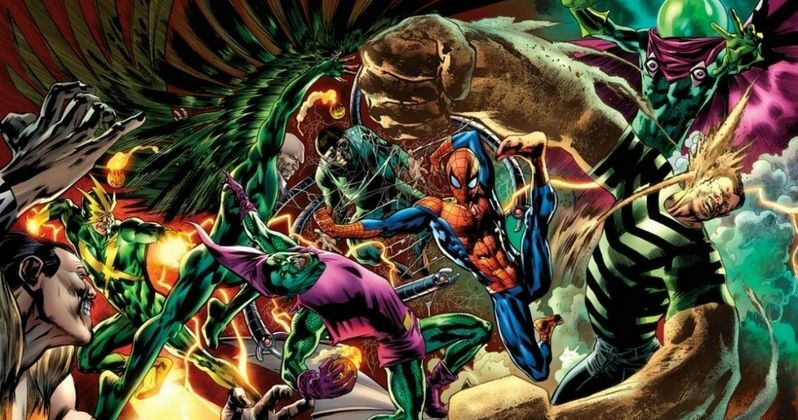 Drew Goddard is closing in on a deal to direct Sony's The Sinister Six, a spin-off of its The Amazing Spider-Man franchise. The filmmaker signed onto write this new super villain adventure back in December, when it was just a possibility that he may helm, with those plans now being set in motion. Although it isn't exactly known what villains will be included in The Sinister Six, Sony Pictures co-chairman Amy Pascal revealed last month that these characters will be introduced at the end of The Amazing Spider-Man 2, which serves as a direct link to this new feature. Fans noticed that harnesses for Doctor Octopus and The Vulture were featured in the trailer, but their inclusion in the spin-off has not been confirmed. The original version of The Sinister Six in the comics featured Doctor Octopus, Electro, Sandman, Mysterio, Vulture and Kraven the Hunter, but there were also several other versions of this villainous group throughout the years. Electro is played by Jamie Foxx in The Amazing Spider-Man 2, while Doctor Octopus and Sandman were played by Alfred Molina in Spider-Man 2 and Thomas Haden Church in Spider-Man 3, both of which were directed by Sam Raimi. Our report from December also included the news of a Venom spin-off, which will be written by Alex Kurtzman, Roberto Orci and Ed Solomon for Alex Kurtzman to direct. The writers of both spin-offs will work with The Amazing Spider-Man 2 producers Avi Arad, Matthew Tolmach and director Marc Webb, who form what Sony calls their "franchise brain to expand the universe for the brand and to develop a continuous tone and thread throughout the films." Drew Goddard made his feature directorial debut with 2012's The Cabin in the Woods, and his writing credits include Cloverfield, World War Z and the shelved Robopocalypse. He is also slated to write and direct the pilot episode of Marvel and Netflix's Daredevil TV series, which is scheduled to start production this summer. Since it isn't known when The Sinister Six will be ready to start shooting, it isn't clear if the filmmaker will be able to work on both projects.